We have practice every Monday, Tuesday, and Thursday at the Bayfield Rec Center. 6 - 12 years old - 5:30 p.m. – 6:30 p.m.
13 - 18 years old - 6:00 p.m. – 7:45 p.m.
During the overlap times the older group will begin their warmups and practices and they will also be working one-on-one or in small groups to mentor the younger swimmers. 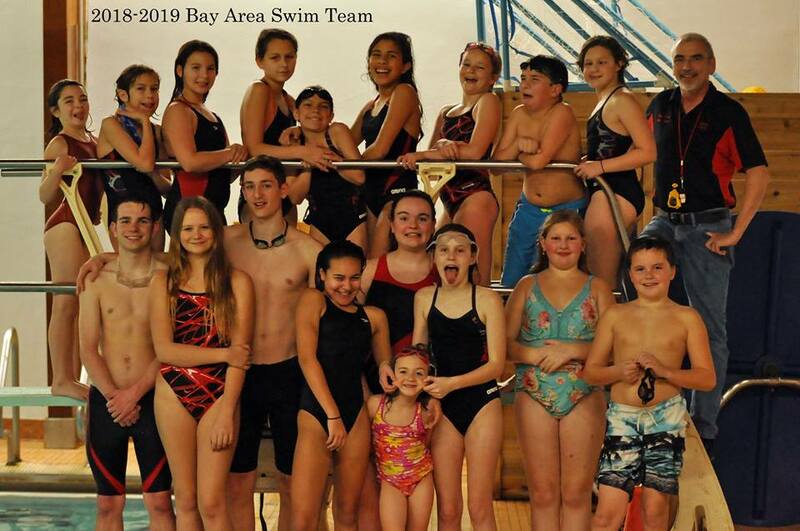 This reinforces skill techniques for the older swimmers, gives the younger swimmers a chance to learn from someone close to their own age, and starts to build a bond between team members so that they work together and help each other at meets and any other events that may occur. ​Note that the coaches may reassign a swimmer to a different practice group based on ability. The lighter side of Swim Team! $163 for one child, $275 for two, Members get $25 off. Not sure? Try the first week for free! Ages 6-18 - If you can swim a lap in the pool you're ready to start swim team! ​We’re a competitive team and we acknowledge and encourage both individual and team successes, but attending competitive meets is not required to be part of our team. Coming to practices with a commitment to improve a little bit every day is required--and any swimmer who follows that rule is already a champion. There are a lot of individual events in competitive swimming, but every member of the team is part of our community of swimmers. Team members are expected to support one another at all times, both in and out of the pool. Older, experienced swimmers are encouraged to mentor, teach, and watch over younger athletes at both practices and competitions. Our coach, Rick Burkman, is here to help athletes learn proper racing techniques, giving them the skills to increase their endurance and speed in the water, fostering the life-long exercise of self-discipline, and encouraging every individual to do their personal best at every practice, in every competition, and in daily life. Along the way we will emphasize the fun of competing, the camaraderie of teamwork, and the thrill of challenging yourself to reach your goals. Our focus is to encourage healthy habits and maintain a positive outlook while perfecting your skills on your way to becoming a better swimmer. If you’re still swimming 50 years from now, then we’ve met our goal. 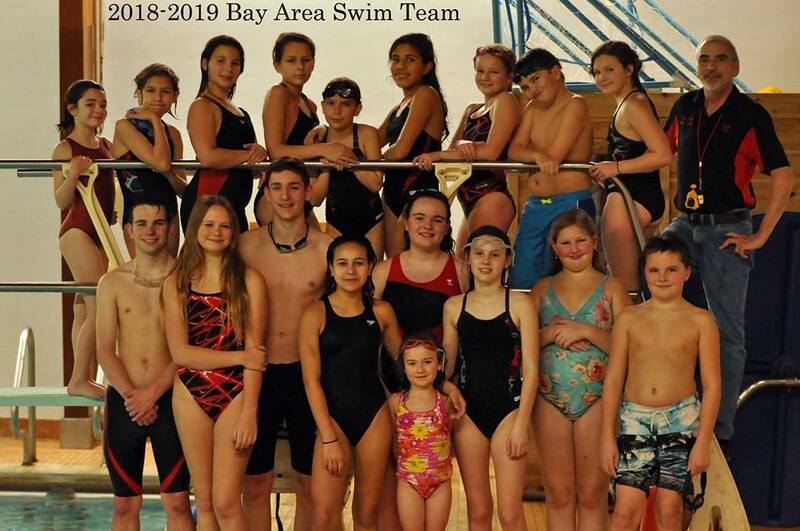 Parents and caregivers are important members of the Bay Area Swim Team. Transporting swimmers to practices and meets is a big job; being a sounding board for those frustrating practices is an act of patience; and making sure the homework is done sometimes means perseverance and even more patience. Thank you for all that you do! Please make sure that we have your email address--it is our main form of communicating directly with you. Check out our Facebook page to keep up on the latest happenings! For more information, contact Rosa at rosa@recreationandfitnessresources.org or 715-779-5408.